A frazzled young mother locked her sick toddler in the car while she ran into the pharmacy to pick up an emergency prescription. You can guess what happened: She left the keys in the ignition. It was late at night, she didn’t have a cell phone, and the pharmacy had locked its doors and pulled down its metal shutters by the time she realized what she’d done. She could see her daughter through the windows, and could hear the sound of her crying. It drove her nearly frantic and she tearfully prayed for help. A few moments later, a young man walked past and turned to look at her in curiosity. “Can you help me?” she begged him desperately. “I’ve locked my keys in the car and my daughter is in there!” He nodded, and looked around the empty parking lot until he found an old coat hanger that he straightened. She had never seen anything like it — it was simply amazing how easily he got into her car. A quick look at the door and window, a couple of twists of the coat hanger and bam! Just like that, the door was open. The Apostle Paul once said, “Be joyful in hope, patient in affliction, and faithful in prayer.” (Romans 12:12) A pretty good motto for the Church on a Hill this summer. Joyfully received Cris Dempsey into active membership by way of reaffirmation of faith and transfer of her letter from Hempfield Presbyterian Church in Pennsylvania. Approved a one-year subscription to Charity-Tracker, a web-based networking aid for local churches and agencies that help people in need. Elder Art Forehand reported that directional outdoor signs for the church are ready to be installed. Granted Elder Betty Cully and the Congregational Care Committee the authority to place inspirational decorations/hangings on a wall in Fellowship Hall. 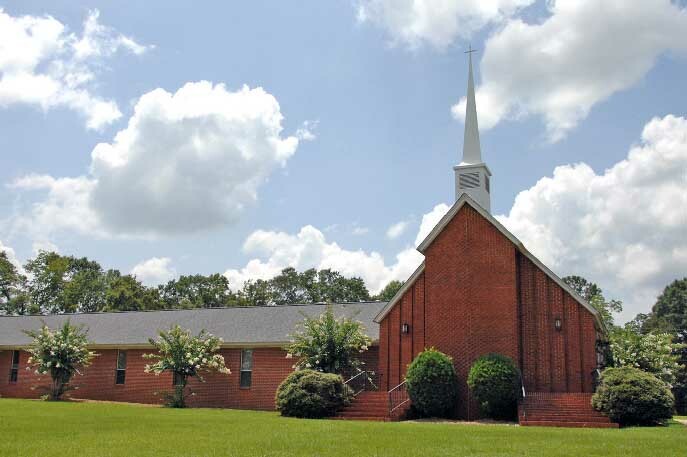 Approved three days of Continuing Education Leave for the Pastor, August 22-24, so that he may attend the Fellowship of Presbyterians Regional Conference in Atlanta. Wednesday Nights – Over the summer, we will NOT have a regular Wednesday program. The Fellowship Supper, Bible Study, etc., will start back up in the fall. July Communion – Due to Pastor Dan’s trip to the PCUSA General Assembly, Communion for July will be held on July 8 instead of July 1. On Sunday, June 24, at Noon, we will have a Farewell Reception for Jim Crawford. Jim is preparing to leave us and relocate to Texas. Please join us following the Worship Service for cake and refreshments. The Presbyterian Women just wrapped up a wonderful Bible Study series on “Being the Beatitudes.” We’ll take a break for the summer and then start back up with a new study in the fall. All women are welcome to attend! Keep an eye on the church calendar for more information. Thank you to everyone who contributed to our recent special offerings. Because of your generous donations, our church was able to contribute $220 to the Healthy Women/Healthy Families Project and $510 to the PW Birthday Offering. Thank you again! The 2012 AL/MS Women’s Conference is just around the corner! This year’s event will be held in Huntsville, Alabama, from June 22 to 22. The theme of the conference is, “Dispatches to God’s Household: The General Epistles.” If you are interested in attending, please contact one of the PW Officers or the church office for a registration form and more information. Speaking of officers, the following ladies have been elected for the next year. Thank you to all of them for agreeing to serve! The deadline for submissions for the August 2012 church newsletter is Tuesday, July 17. Items can be emailed to greenhillpc@gmail.com, or dropped off in the church office. Many thanks to all of our contributors. A big thank you goes out to Jim McDonough and his business partner John Cappadoro for the amazing job they did cleaning the church carpets last month. We wish them all the best in their new Carpet Cleaning and Lawn Service business. www.veteranscarpetandlawn.com. The Green Hill Food Closet is in need of the following items: Cereal, Corn Bread Mix, Saltine Crackers, Spaghetti (8oz), Peanut Butter, Jelly, Vienna Sausages, Canned Chicken, Rice (small), Spaghettios/Ravioli/Lasagna, etc. Any and all donations are greatly appreciated. Thank you. The Fellowship of Presbyterians is holding their Summer Gathering in Atlanta on August 23 and 24. There will be speakers, workshops, fellowship, and more. For more information, please visit the FOP website, www.fellowship-pres.org, or contact the church office. The Outreach Committee has assumed responsibility for providing refreshments each Sunday morning for Green Hill Café. The Outreach Committee invites anyone who would like to host the Café to sign up for a Sunday on the sheet in the Fellowship Hall. Thank you for your support of this activity which we hope will help grow our Green Hill Family.